This blog piece was written by Julia Z., a high-school student from the United States of America. We hear our grandparents say it. Preach it. Sitting around a crackling fire surrounded by family. Those wise with age warn those who listen eagerly – live while you’re young, enjoy every moment, time moves so fast. We hear the poets telling us to seize the day. Time is an enigmatic topic that attracts scholars, academics, and even inexperienced teenagers like myself. Is it possible that when people tell us to seize the day, they really are warning us to retain our innocence for as long as the universe will allow? Innocence is lost when the weight of the world is suddenly shifted onto the shoulders of an unsuspecting child. Burden, struggle, and responsibility are what make you transform from an innocent child to an adult who wears stress on his or her face like a child wears a smile. What I am describing hit me on a recent trip to Ethiopia. Accompanying my aunt, who works on adolescent girls programming with the International Rescue Committee and is the Co-Chair of the Coalition for Adolescent Girls, I received the chance to observe first-hand what humanitarians do. More importantly, I experienced how their work impacts girls. I had the chance to observe a program called Girl Empower, which is true to its name. This program educates in order to empower girls. It includes training mentors who teach a curriculum about a woman’s health, her body, and her choices. 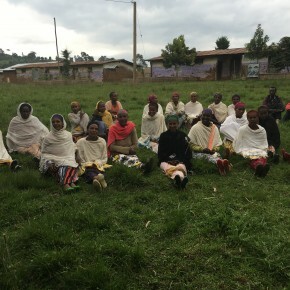 This program opens discussions about topics that previously were difficult for girls to discuss: menstruation, gender-based violence, and harmful traditional practices. 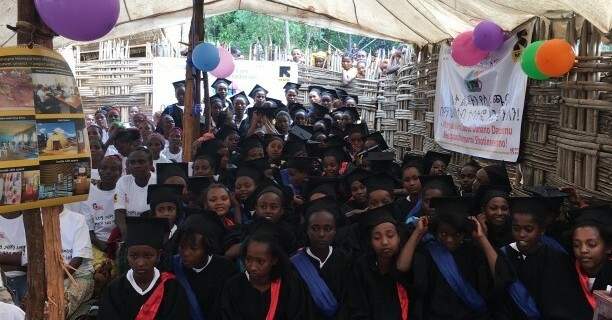 I was there for the girls’ graduation from this program, and it was amazing to see their emotion, their passion, and their happiness. By providing a safe space for girls to be girls, the program gave these girls something incredibly precious: time. Girl Empower stopped time, something physicists and cosmologists have been trying to figure out for centuries. Girls who were supposed to be married by age 15 were now equipped to be able to have safe, informed conversations with their parents and to make their own decisions. Their parents, who had been through a 10-12 month curriculum and participated in discussions about empowering their daughters, claimed they now knew about the negative effects of early marriage, such as dropping out of school, giving birth too young, and perpetuating the cycle of poverty. Whether or not this enlightenment will spread to future generations or even the girls in the town who were not part of the program, I don’t know. Sustainability of humanitarian programs in general is not guaranteed, but IRC is working diligently to build capacity of the community and support community ownership of the program, not just for the participants but also for future generations of girls. Will these positive affirmations and lessons spread to others and continue spreading? Only the community can assure that. The reason this program is impressive to me is not the long-term effects, but the brief intervention of the rapid maturing of these girls. For the year or so these girls are in the program they get a chance to breathe. They won’t marry early during this program (as parents agreed upon). So they are not somebody’s wife, somebody’s mother, somebody’s cook, somebody’s water fetcher. During this program they are just girls being educated, discussing difficult topics more openly, and learning about themselves and their potential. Their innocence is preserved, they understand what it means to be their own person, and they are not forced to grow up as fast as they would have otherwise. 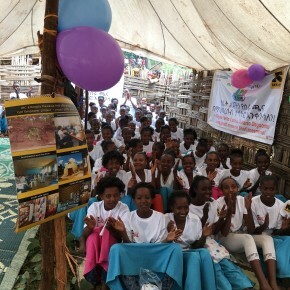 There is hope that the lessons these girls learned about protecting themselves emotionally and physically will carry on beyond the life of the project. The power of knowledge, enlightenment, and time to think should not be underestimated. I hope that independently these girls will take what they learned and use it to empower their sisters, friends, and, eventually, daughters. Knowledge is cyclical; it can flow from generation to generation, and over time the community as a whole will benefit. Education radiates outwards from one source and can change the lives of many. The girls lucky enough to participate in this program can take what they have learned and educate others. Maybe, just as IRC did for them, these girls can stall the rapid maturing of other girls in their community. The future is female and one empowered girl can have a greater impact than you might think. This blog piece was written by Julia Z., a high-school student from the United States of America, as part of the CAG’s Girl Blogger Series. All opinions and images are her own.